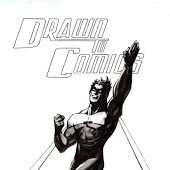 How Can I Go Drawn To Comics? 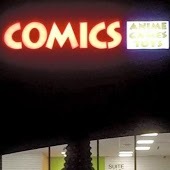 Where is Drawn To Comics in Glendale on the Map? This location has 47 reviews from customers. Always friendly and willing to order what you need if it isn't in stock. The variety of comics is wonderful and that's not all they offer. Shirts and other various merchandise is also available. They gained my purchase loyalty on my first visit. I've Drawn my conclusion... AWESOME! The only thing equally as awesome is the world's best indie comic book "Man Vs. Rock!" Great staff, owners are caring and friendly. Always stocked. Good place, will recommend to anyone. Awesome family atmosphere. 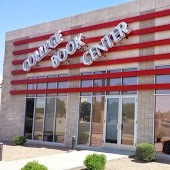 My Best choice to purchase comics in Arizona no doubt about! Ken Brown and his staff are knowledgeable and often going out of there way to assist me. I appreciate that they offer discounts to students and military individuals, along with bagging and boarding every comic purchased from the new releases or back issue bins. They have a great selection of posters and collectibles as well for sale. I like the fact that they often get involved with the community to have activities like "Free Comic Book Day" or collecting food for food banks or packages to send to military overseas. This place is a finalist for Eisner (Think The Grammys for Comics) Shop of The Year Award just about every year. This constantly place exceeds my expectations. Ken and Susan have one of the most awesome shops out there. They are also some of the nicest people you will ever meet. Their pull program is the best in the Valley. Top notch shop.